5 Steps to Get Started! The UK will leave the EU Customs Union and Single Market on March 29, 2019. Both partners are aiming to conclude an ambitious free trade agreement, which would govern the exchange of goods and services between them after the UK exits the Union. However, the definition of the future EU-UK relationship depends on the resolution of the Withdrawal Agreement, which is the deal that will define the conditions under which the UK will leave the EU, such as the Northern Ireland border and the rights of citizens. 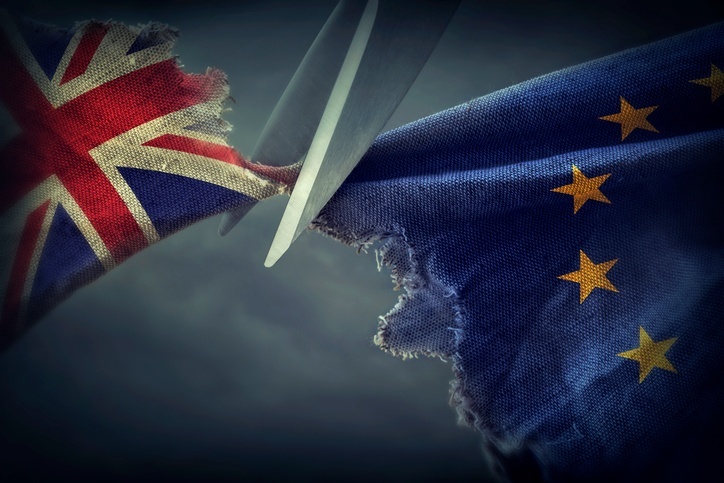 The negotiations surrounding the Withdrawal Agreement have been challenging, to say the least, and the internal division in UK politics further complicates the process. Time is pressing, as negotiator estimate the Withdrawal Agreement must be concluded by October 2018 to allow time for formal ratification in the EU and in the UK. If there is no ratified Withdrawal Agreement in place by March 29, 2019, the UK will leave the EU with no deal and will immediately become a third country. While it is not yet certain under what conditions the UK will leave the EU and what the future relationship will look like, it is clear that customs formalities and controls will apply once the UK is out of the EU. Even if the EU and UK conclude a free trade agreement, customs formalities and checks will apply on the movements of goods between the two partners. The UK is proposing a new form of partnership with the EU to avoid customs formalities, but so far the proposals presented are not workable and have been discarded by the EU. Companies need to prepare for the fact that exporting to the UK will be like exporting to any other third country: customs and other types of declarations will need to be filed, new authorisations will be required, and operations will undergo checks and controls. Instead of using third parties to manage your customs declarations or have them manually prepared by your internal team, use a modern, automated solution that centralises all related data in one single dashboard. Customs automation software provides you with a holistic view of all your inbound and outbound shipments. Based on this data, customs declarations are automatically generated by the system and sent to the customs authorities with the click of a button. As declarations are automatically generated, trucks are released faster at the borders, drastically reducing wait time.Customs software also allows you to manage all applicable trade requirements in one single place, or even better: have your solution provider manage the requirements for you, so you are always up-to-date, without the hassle of continuously following the news. Automating your customs declarations allows you to free-up in-house resources and cut the costs of third parties and customs brokers. Customs automation software standardises processes and can even cut red tape. Once everything is up and running, The Free Agreements will be negotiated and special procedures can be used. If your current or foreseeable trade flows cross the Channel, it is time to get in touch with experts and start looking for a modern customs solution that can help your business stay agile and be ready as soon the details of Brexit are known. C4T has developed CAS, a software solution that automates your customs declarations. CAS is Brexit-proof, since it is already compatible with CDS - the future HMRC IT system – and has a single message/double filing function, simultaneously addressing export customs formalities from the country of departure (UK or EU) and import formalities in the country of destination (UK or EU), combined with transit to ensure frictionless border crossing.